Check out our implementation options, pricing and features to see which services are right for your business. We'd be happy to give you a personal demo of mobe3. Just tell us about yourself and where to reach you, and we'll rock your socks off. mobe3 has warehouse simulation capabilities that allow you to optimize operations before moving even a single pallet. 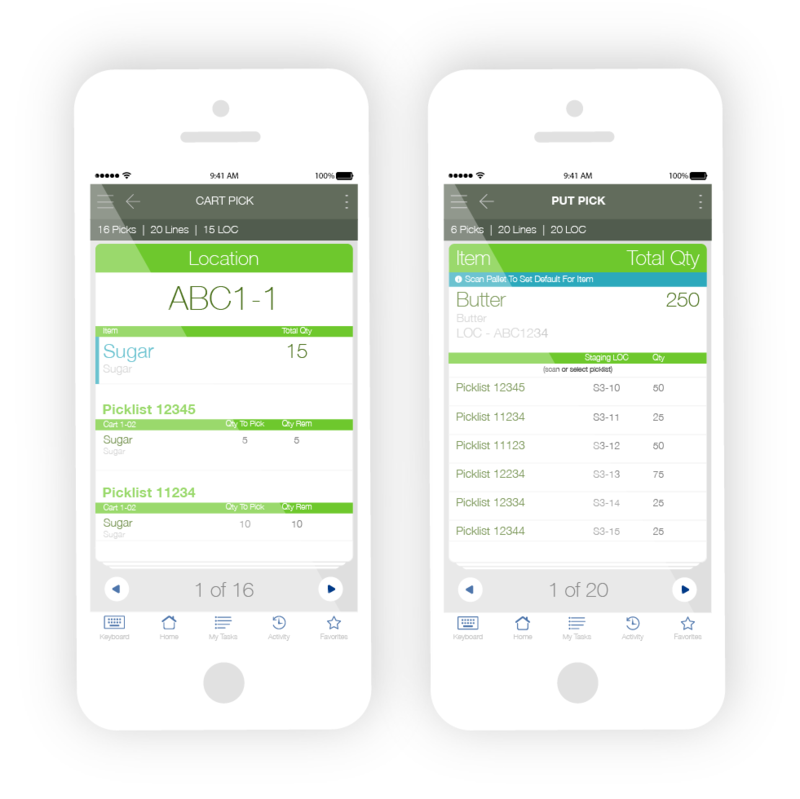 mobe3 can simulate a warehouse work flow change and provide a report card of key metrics on efficiency. Now, the efficiency gain (or loss) can be quantified before it’s implemented in a live warehouse. It helps your warehouse get more done, more accurately, with far less resources. Using warehouse modeling and real-time workflow, mobe3 doesn’t just passively track warehouse activities—it anticipates workflow and proactively recommends optimizations. Built with the familiarity of mobile apps but designed with warehouse workflow in mind, mobe3 is flexible and compatible with just about any ERP system. mobe3 also integrates and synchronizes with productivity and project management tools such as #Slack and Google Sheets. Paired with efficiency, we’ve made mobe3 as scalable and intuitive as possible so your warehouse can grow without the headaches. mobe3 can expand to serve growing warehouse operations, so it’s flexible enough to meet your unique workflow demands while meeting your operational and technological needs. Regardless of your business size, with mobe3, nothing is hidden. Your warehouse managers and executives will be able to see everything that happens in the warehouse, in real-time or after the fact, with no silos. Cloud communications are SSL-encrypted, web traffic into the mobe3 ecosystem is filtered through the most advanced web application firewall protection available. 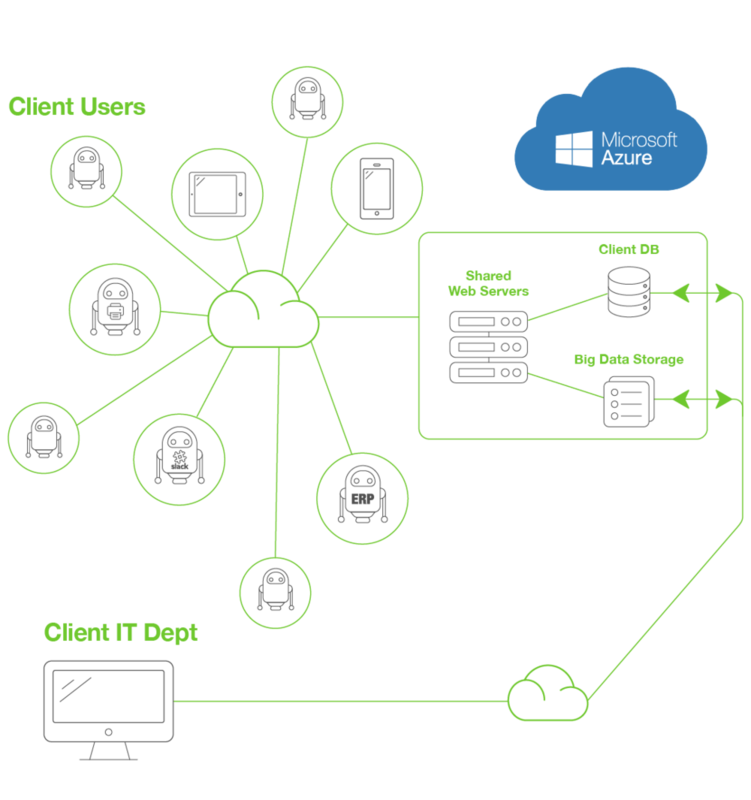 Once in our Microsoft Azure cloud environment, our systems were designed ground up with the help of Microsoft Engineers using highly available system architecture with live replication to geographically redundant sites. In addition, we help keep your warehouse data safe by employing client devices engineered by the largest mobile technology Company in the world, with the hands-down best security. In fact, mobe3’s security is so legit, its been recognized as a 2017 Cloud Computing Security Excellence Awards winner. mobe3 leverages all of the iOS functionality that warehouse managers and employees already know, including FaceTime, messaging and photos. The familiar iOS platform slashes the hardware and adoption costs of conventional systems, making it easier and far more cost-effective to implement in your warehouse. In addition to the mobile mobe3 WMS, you will also receive full access to our desktop version for all office and admin operations. From here, administrators will be able to create and assign picklists, assign shipping numbers, check inventory and more...all from the web. "Having been a part of WMS deployments five times previously, I was shocked at how easy deploying mobe3 was. Because of how mobe3 is designed, it was easy for our warehouse team to adopt. mobe3 has changed how our warehouse communicates, added individualized accountability and provided data-driven recommendations to optimize our processes and systems. In the last year alone, we’ve doubled our output and employees, and mobe3 has been instrumental in our growth." We'd be happy to give you a personal demo of mobe3. Just tell us about yourself and where to reach you and we'll rock your socks off. Copyright © 2018, EVS and/or its affiliates. All rights reserved.